What motivates your team and drives them forward within your company? Is it that sense of achievement gained after going above and beyond for your customers? Is it working within a supportive work environment that lends itself to employee growth? Or maybe your team simply knows that their opinions are valued and they feel empowered to affect positive change within the business. 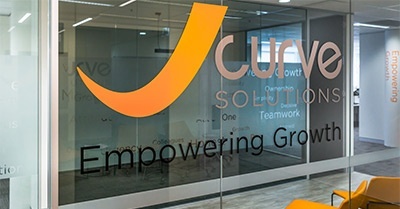 At JCurve Solutions, these are all familiar themes. We have a deep understanding that together, we're more successful. This sentiment includes our teammates, channel partners, and our valued customers. A crucial component of success relies on recognising and celebrating it... and sharing that success. 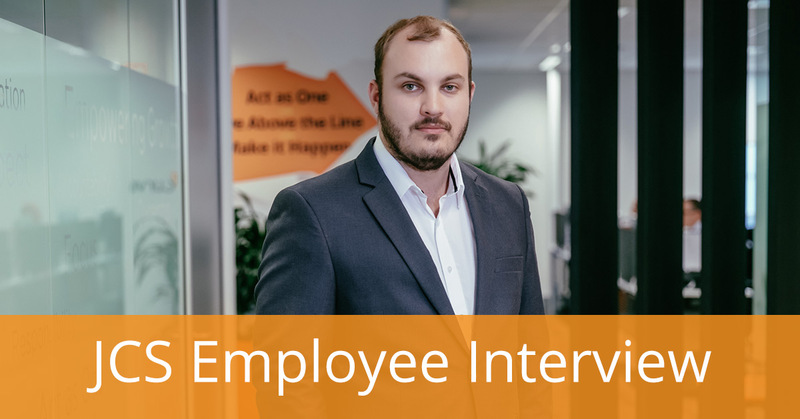 I recently sat down with a member of the JCS team to gather and share some insights on personal growth, company growth, the challenges and rewards of working here. 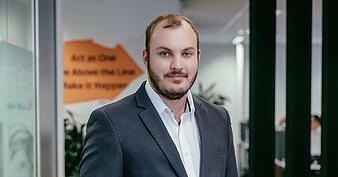 Nick Williams is the Support Team Lead at JCurve Solutions (ASX: JCS), is based in our Sydney headquarters and has been with the company for over 5 years. In that time, he has progressed through a number of roles within the business. Nick is a highly-respected member of the JCS family who contributes a huge amount of experience towards making JCS and its customers all more successful together. Your position description is Support Team Lead but how would you describe what you do? "Wearing many hats" is the simple explanation. It's not just a standard Team Lead role that sees you doing a mound of reporting and standing back. It's a role where I can jump in, help the team, and help with customer cases. I can make sure that we're being responsive to customers and being efficient in what we're doing. I can see when everything is running smoothly with day-to-day operations, and know first-hand that we're providing the high standard of service that our customers have come to expect. "We always had good people, but Stephen helped to set our values in stone and put them into action. That was certainly a turning point where you knew without a doubt that it was a good place to be and that people cared about you." You've worked at JCS for over 5 years now. How did you first know you'd made the right decision to work at JCS? Right from the start, I felt there was almost a start-up culture where everyone was enthusiastic, willing to pitch in, and ready help out - not just for customers but also for each other. When Stephen (Stephen Canning - JCS CEO) came on board, the company culture was also redefined. We always had good people, but Stephen helped to set our values in stone and put them into action. That was certainly a turning point where you knew without a doubt that it was a good place to be and that people cared about you. How would you describe the culture at JCS? Everyone is willing to help out. People aren't just stuck in their own roles, they are really acting as one to get the job done. JCS has bi-annual company days which are a chance to get everyone together and celebrate our successes. We have transparency with our monthly updates about how the business is going. All of these things really help to drive the culture and make it a place you want to be. How has JCS grown in the time you've been here? For me personally, we started as a small business with a start-up kind of attitude. We've seen massive growth over time. We moved from our St Leonards to a much larger premises in Chatswood and now we've expanded our operations into Asia. There are a lot of exciting things happening, and we're continuing to grow. What's impressive is that we've kept everything running smoothly in the process, which isn't an easy thing to do. Our support team started as one or two people and has now grown to a team of 7 support consultants spanning multiple countries. Our support base has grown a lot as our customer base has grown. One thing that's stayed the same through all of this is that everyone is still willing to help out, have a chat or give advice to help solve a problem. There's still a lot of cross-team collaboration. We haven't seen any silos popping up which can happen when businesses grow. We're still a very tight-knit team. "Our support team started as one or two people and has now grown to a team of 7 support consultants spanning multiple countries. Our support base has grown a lot as our customer base has grown." How have you grown in the time you've been here? I initially came into the business to help with some behind-the-scenes work and set up the Support Portal (which was known as the Knowledge Base back then). From there, I started supporting our existing customers and then moved into more of a senior technical consultant role. I was then promoted to my current Team Lead role. And becoming a subject matter expert in NetSuite and third-party applications. The Support Portal has also grown and is looking more refined now, too! One of the more surprising aspects of my personal growth is that I never really knew much about business when I started at JCS. But in working here, I've been able to get a strong understanding of how businesses operate - from SMEs through to larger companies. We have a lot of customers who contact us regularly and we've really gotten to know them and build strong relationships. We've come to understand their businesses very well, so they don't have to explain everything from scratch each time they call through. Building these relationships with customers has helped me grow a lot. And, it's helped me understand how they're using NetSuite or JCurve ERP software to grow their business... And how to help them get the most out of their ERP system. What's the most out-of-the-ordinary challenge you've had at JCS? One of our customers has reps out on the road visiting their clients but without any tracking in place to know which clients they last visited and who they had spoken with. The reps were trying to just remember this off-hand, but not always getting it right. We worked with our customer to design a solution to automate their customer visit schedule. It was a lot more than a standard support request involves, but the customer was happy to have it managed as a consulting hours package to develop the solution. Our solution involved having reps use the tasks function in NetSuite to record their visits. We then built a custom saved search which would take into account the last task recorded dates and calculate which customers the reps should go out and see next. There were a lot of formulas to put in place, but now the reps have full visibility on who to visit and when. "One of the more surprising aspects of my personal growth is that I never really knew much about business when I started at JCS. But in working here, I've been able to get a strong understanding of how businesses operate - from SMEs through to larger companies." What's the most rewarding thing you've been able to do within your current role? Definitely helping our customers. Helping them using their NetSuite or JCurve ERP software and helping get the most out of it to make their lives easier. The team and I are always helping customers save them time by automating manual processes and finding new ways to make daily operations more efficient for them. We might have a customer who's been using the product for some time and helping them find a better way to do things is extremely rewarding - like with overdue invoices, for example. Something that seems simple to me like automating the sending of overdue invoice notifications (rather than having the customer's accounts person call every customer) is something I can set up quickly, save our customers time, and be a rewarding part of my day. What's your favourite new feature of NetSuite? The new generation of reporting - SuiteAnalytics Workbook. The functionality has been in beta for the last 6 months and is now standard functionality in the upcoming 2019.1 NetSuite release. It's the next reporting engine in NetSuite that provides new analytics and better functionality. You can create highly customisable workbooks that combine queries, pivot tables, and charts using a single tool. It's more user-friendly, and overall it's pretty exciting. What's one thing you've learned from working at JCS that you wouldn't have learned anywhere else? Getting an insight into SME businesses and how they operate. Understanding their day-to-day challenges and common issues they face. Working at JCS has given me such a great environment to develop this insight but I also owe this to our customers. We have a lot of amazing customers who want you to know more about their business. This makes sense - the more we know, the more we can help our customers become even more successful through using the software effectively. For me, leaning more than I ever realised I would learn about NetSuite, the JCurve ERP edition of NetSuite, and ERP in general has been great. JCS is always supporting the team to learn more and grow our expertise. I don't think I would have learned this much anywhere else. How has working at JCS helped you become more successful? Being challenged every day and being exposed to different things every day has helped me be more successful in my role. I've had the chance to learn about 3rd party products that integrate with NetSuite and JCurve ERP and I've had exposure to new and emerging technologies. It really is an environment here of creating success for everyone. 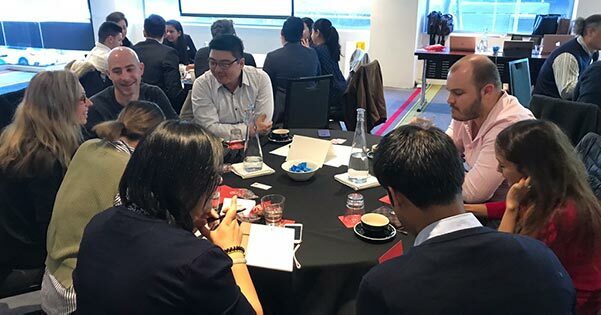 "We already have one of the most experienced teams of NetSuite experts across Australia, New Zealand, and Asia. We're always continuing to learn more and further our knowledge as a team so my goal of having the best ERP support available as the business keeps growing is a realistic one." What's one thing you wish you'd known when you first started working here? I wish I'd known more about ERP. I had used Salesforce previously but having ERP experience would have helped me to hit the ground running. Though having the NetSuite unlimited training was an incredible way to learn and improve my system knowledge. Playing around in a sandbox environment and reading through NetSuite's in-built SuiteAnswers has also helped a lot since then. What's the one thing you most want to achieve in the future? One goal would be to have the best support structure in place that's scalable as the business continues to grow further. Having the right infrastructure means we can not only grow with the business but also be proactive about it. We already have one of the most experienced teams of NetSuite experts across Australia, New Zealand, and Asia. We're always continuing to learn more and further our knowledge as a team so my goal of having the best ERP support available as the business keeps growing is a realistic one. Interested to know how to begin seeing faster business growth? Start with your free guide - Crushing the Four Barriers to Growth.